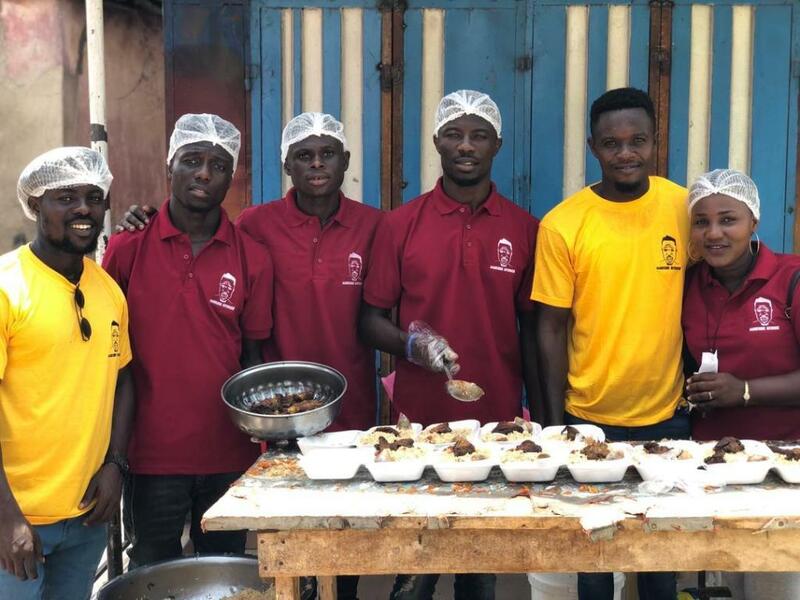 Ghanaian celebrated actor Kwaku Manu together with his Aggressive interview Crew members today took to the street to cook, donate and party with people living in ghettos and streets. The actor and his crew stomed places like Colombia in Krofrom, Amakom traffic light, Asafo and some other suburbs in the Kumasi Metropolis. During the donation, he encouraged those in the ghetto that all is not lost and that they can survive. Using himself as an example, he revealed that he is a ghetto boy from the ghetto and the fact that through God he has been able to rise above poverty, any other person can easily survive out of the streets. Speaking in an interview with Attractivemustapha.com about the kind gesture, Kwaku Manu stated that he felt those on the street have been neglected in these hard times and if the privileged do not go out there to have regular interactions with them they might turn into something else. He again suggested that to reduce the rate of homeless people and the neglected people in the street, it will be prudent for a special ministry to be assigned to take care of them. He again added that he will be doing it every month to help reduce the rate of street children and people within the ghetto.